I have to say that it is definitely not easy leaving your child in the hands of other people, but the lovely ladies at Spunky Monkeys Penrith make it alot easier for me to go to work and not feel so guilty. The team at Spunky Monkeys Penrith are creative, enthusiastic and very welcoming. They genuinely care for the children that attend. I feel very comfortable having my little girl at Spunky Monkeys Penrith Early Learning Centre and Preschool. We, Natasha and Percy, are thankful for the loving care that each one you, in your own capacity, demonstrated towards our son, Jayden Joseph. We always felt that our son would be looked after well and that we could go to work, with our hearts and minds at peace, knowing that the loving team would support one another in the welfare of all the children attending the day-care. A BIG THANK YOU to each one of you for the silent but immensely valuable contribution you have made to the development of Jayden into the fine young man ready to face the challengers of Kindergarten. We will certainly recommend Spunky Monkeys to friends and family as a reliable and wonderful place for children of working parents. My daughter loves going to Spunky Monkey's Lemongrove each day, I have watch her grow and learn every step of the way. This is the unique about the centre from daily letter, to the friendly staff, transitioning all those things in my daughter life, behaviour of the toddler age, toilet training, eating, numbers, reading, brushing teeth, rather than on my own, it's like having angels to back you up, help out or even just ask when not sure. My daughter 3 is reading and counting mostly, learning days of the week, differences, opposite,colours,learning computers, and technology, always has manners and interacts with other children nicely mostly, and I feel confident she will be ready for school with such great work the educators at Spunky Monkeys do with the children. 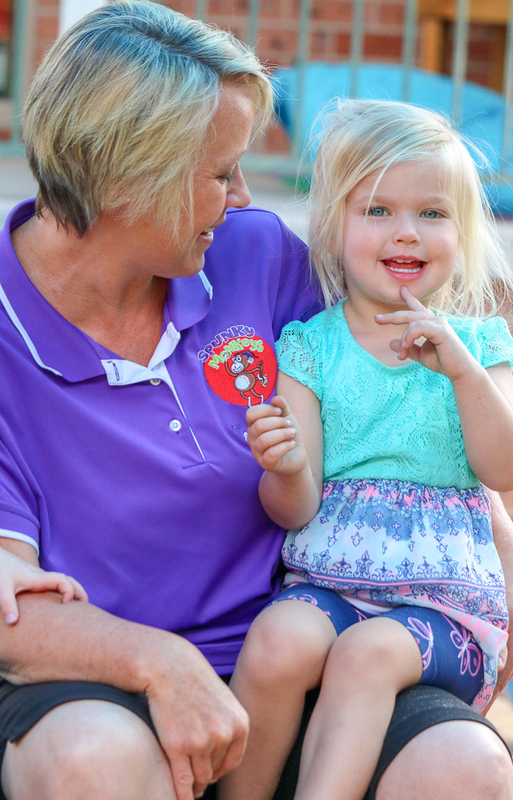 Spunky Monkeys Early Learning Centre is the perfect place for children to Learn, Grow, and Play.